Before settlers from Europe came to the area around the Great Slave Lake it had been inhabited for thousands of years by indigenous people. In the last century their way of living changed radically. They used to live on the land, hunt animals and sew clothes what was then replaced by working in gold mines, living in houses and being forced to speak English. Catherine Lafferty is directly affected by this change as she is indigenous. She grew up in rough circumstances and wrote about her experience in her book »Northern Wildflower«. 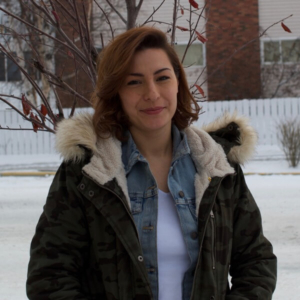 In this episode of »People of Yellowknife« she tells about her struggles and what it means to be indigenous in today’s world.